The Panasonic Lumix DMC-FZ72 is a very pleasant camera to use. It feels solid in your hands and responds well to commands. The zoom is fast without being too fast that you miss where you want to be. Focusing is super fast, and the start-up time is brilliant. We got some great shots using the camera for the short time we had it. As with any camera that has a tiny sensor, the image quality is going to fail at some point. The Panasonic Lumix DMC-FZ72 - like so many others - is when you start raising the ISO. Being pedantic, noise comes through quite early, but it's tolerable until maybe ISO 800. Shooting raw, you have to ideally keep it on ISO 100 to get the benefit. This is a camera that will be attractive to the keen photographers who enjoy going out and taking time with their photography. The need for using a low ISO will mean that longer exposures could be needed. The long zoom and Power OIS will be extremely useful for hikers or travellers, although the latter may not like the size of the unit. They may also be put off by the separate charging unit as this will add weight and take up precious space. 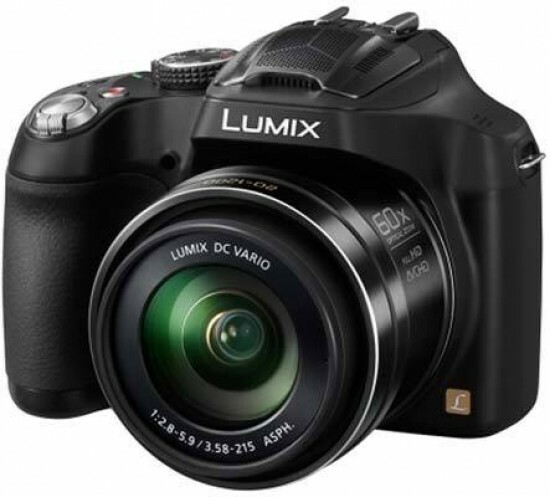 The cost of the Panasonic Lumix DMC-FZ72 is also an issue. It will have been positioned higher because of the advanced technology available in the form of the long zoom. There's no other camera with that range at the moment and people will always have to pay top dollar for the newest gizmo or feature. In all fairness, Panasonic have done a very good job with the DMC-FZ72. It's well built, takes nice photographs that are in focus and exposed perfectly. There's certainly room for improvement, such as the zoom switch could do with being on the side of the lens barrel (or at least an extra one) and the live viewfinder isn't as good as we'd like, but then they never are and they're limited to what they can do in such a small space. We understand this, but it doesn't stop us wanting more, does it?